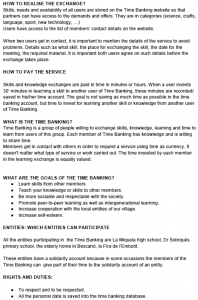 TimeBanking 2.0 – Page 2 – We are all assets. We all have something to give ! 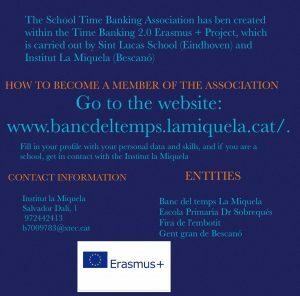 On friday 21st of april of 2017 and during the Short-Term Mobility to Bescanó, the Closing Event of TimeBanking 2.0 and Official Announcement of the European School TimeBanking Association took place in the Royal Theater of Bescanó. 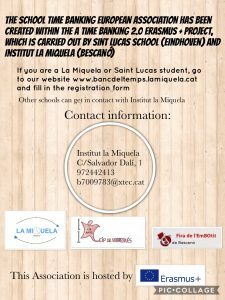 Both schools, La Miquela and SintLucas participated in such a interesting action. Many authorities were invited and joined us by giving some speeches about different topics. 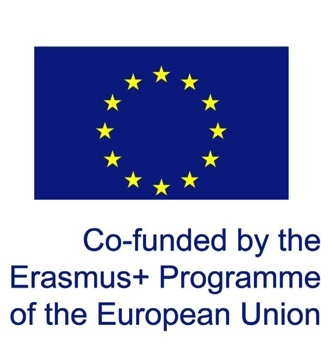 Here you can watch the whole presentation, which was edited by Martina Puig and Aina Garcia, both students of 3rd Grade of ESO and members of the E+ TimeBanking 2.0 project. A group of 9 students of 3rd Grade of ESO from the Reinforcement Class taught by Alexandre Graupere enjoyed the master class given by the student of 1st Batxillerat, Mireia Corona, in order to get ideas and tips to design the Logo of the Time Bank of Ins La Miquela. In order to introduce the task students watched a video about Time Banking to stimulate class discussion and clarify the concept and meaning of TB. 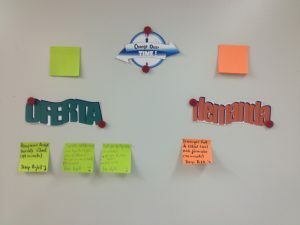 Once the idea of TB had been established, students proceeded by analyzing different examples of well known Logos and discussing their effectiveness, or lack of. During the 2nd year of partnership different activities were organised in order to widespread the idea of TimeBanking among all the schools students, the school staff and parents as well as local entities. 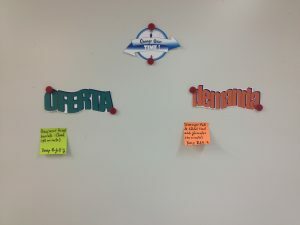 In the attachment you can see the Exchange of Skills board that was put in the Teachers Room. 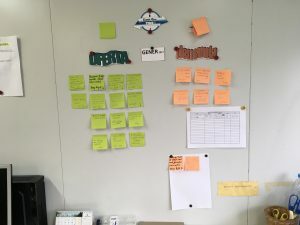 The teachers that wanted to participate in this TimeBank among School Staff, had to think about different offers and demands in order to post them in the board and wait if anyone was interested in doing the exchange. Once done the exchange they had to note it in a paper spreadsheet. 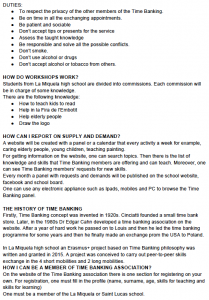 Some students from Geography created flyers and poster related to the Scholar TimeBanking European Association.. 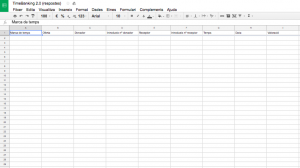 The Maths teacher from La Miquela designed this Google Forms as an example of Skills Exchange Spreasheet. 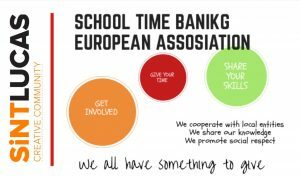 On the 21st of april of 2017 and before the Closing Event of TimeBanking 2.0, the students from 3rd Grade of ESO organised the TimeBanking 2.0 Community Service in order to get to know it to the students of 1st and 2nd Grade of ESO. In the same way, the students form 4th Grade of ESO organised different types of Workshops to the students of 5th and 6th Grade of Primary. 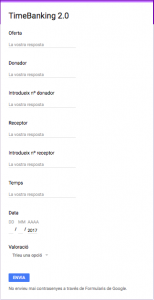 The Technology teacher from Ins La Miquela, Maria Reyner together with InfoSelf Company designed La Miquela TimeBanking Platform. 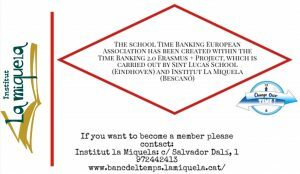 With the help of a group of students from 3rd ESO and in the 2nd year of running of TB 2.0, elaborated a presentation to explain how La Miquela TimeBank Platform works. Some students from English discussed and elaborated a document titled How does a Time Bank work where it is specified everything anyone needs to make a Time Bank work in order to create one.